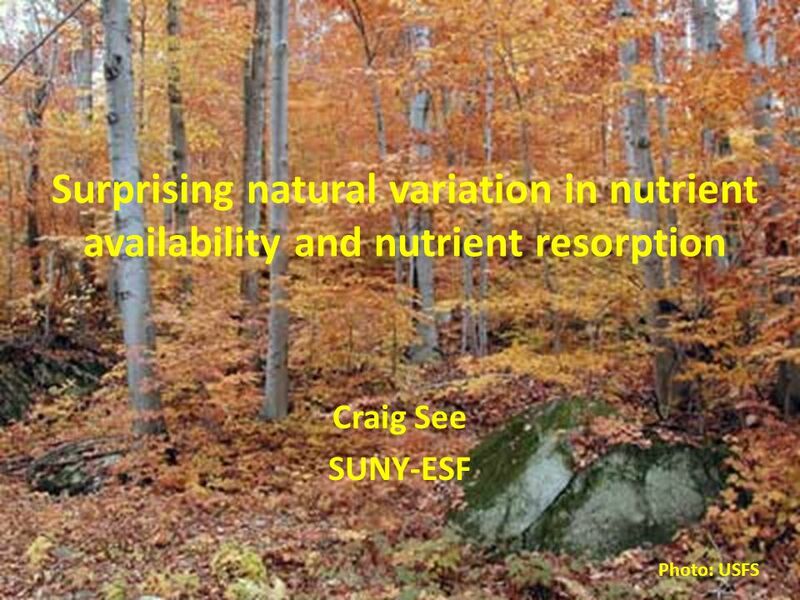 Surprising natural variation in nutrient availability and nutrient resorption Craig See SUNY-ESF Photo: USFS. 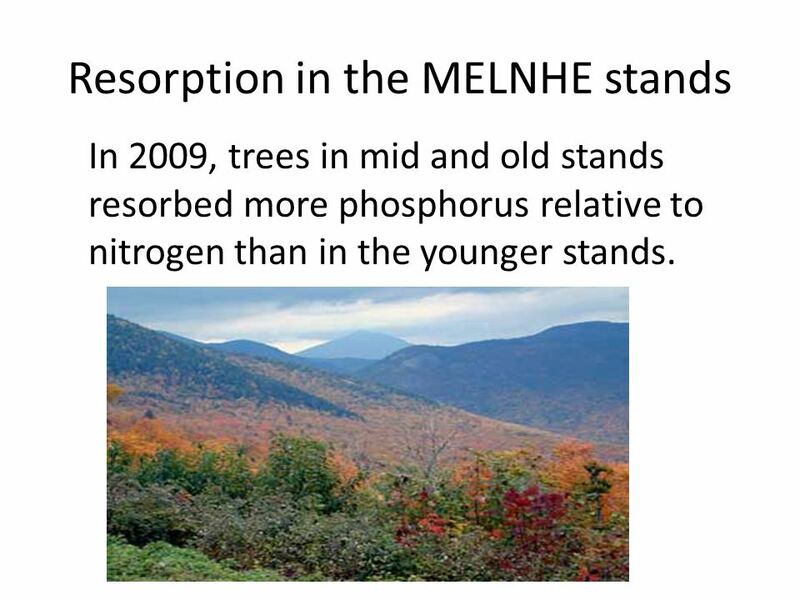 3 Resorption in the MELNHE stands In 2009, trees in mid and old stands resorbed more phosphorus relative to nitrogen than in the younger stands. 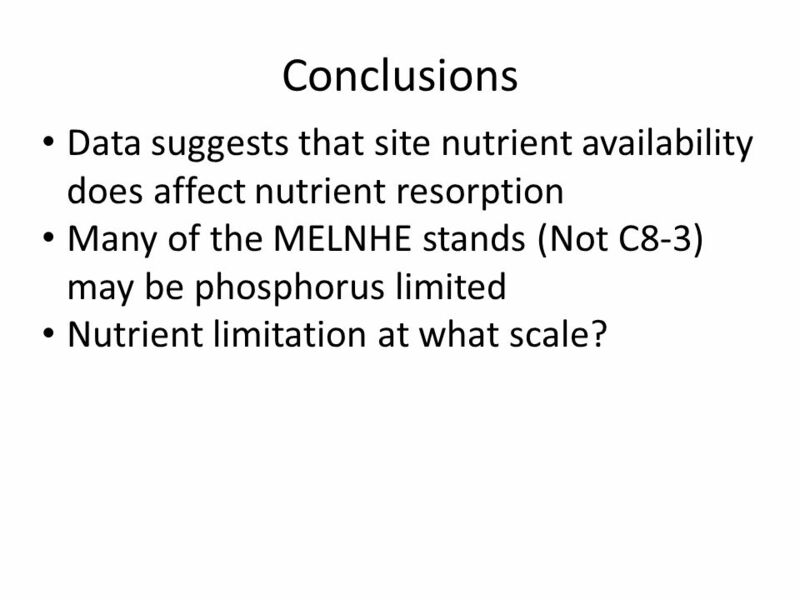 16 Conclusions Data suggests that site nutrient availability does affect nutrient resorption Many of the MELNHE stands (Not C8-3) may be phosphorus limited Nutrient limitation at what scale? 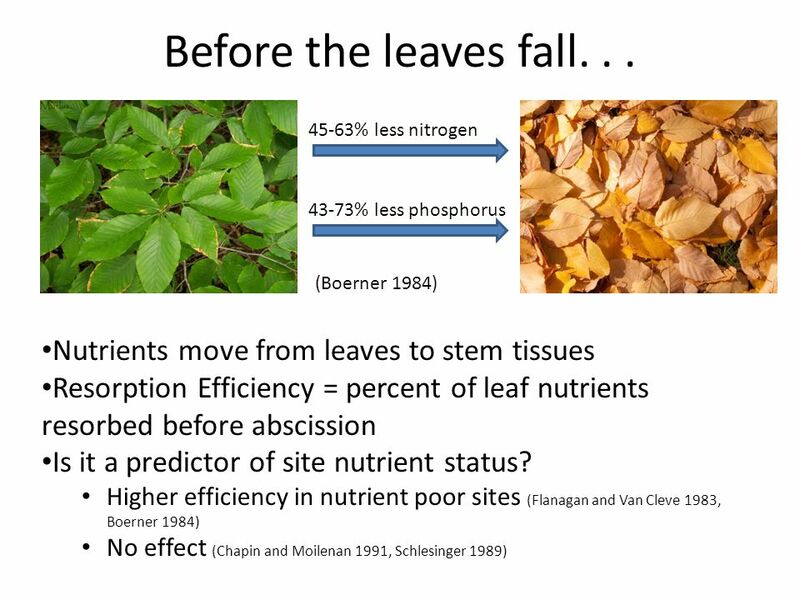 Download ppt "Surprising natural variation in nutrient availability and nutrient resorption Craig See SUNY-ESF Photo: USFS." 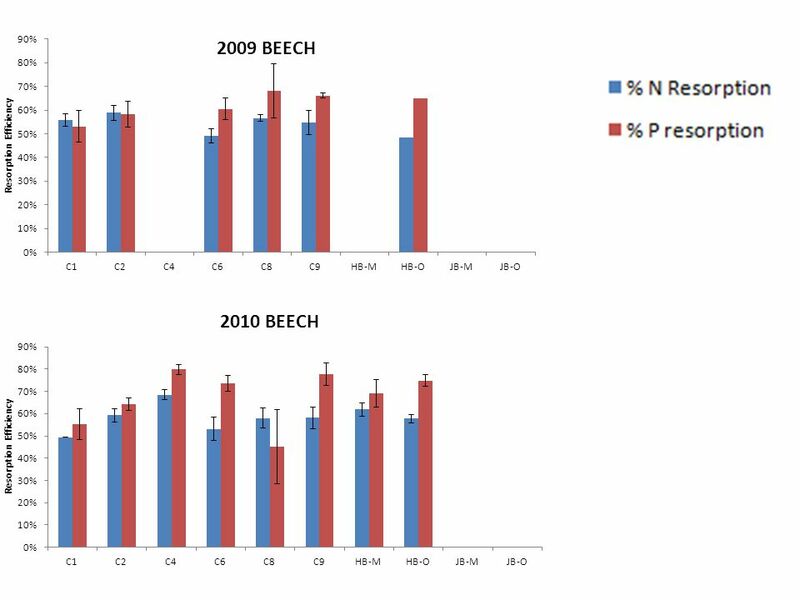 Integrating the Forestry Reclamation Approach for Reclamation of American Chestnut and Oaks in the Mid-Continent Region 1. Nutrient Cycling - In small scale ecosystems.. Stores Flows Inputs Outputs. 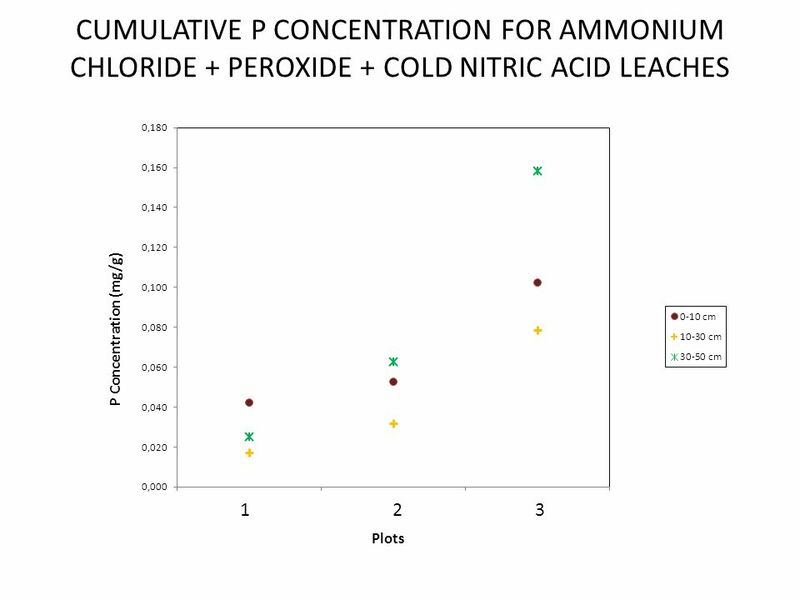 Stoichiometry of Forest Nutrient Limitation Melany Fisk, Miami University. Estimating Uncertainty in Ecosystem Budgets Ruth Yanai, SUNY-ESF, Syracuse Ed Rastetter, Ecosystems Center, MBL Dusty Wood, SUNY-ESF, Syracuse. Remeasuring the Federer Chronosequence Adam Wild M.S. 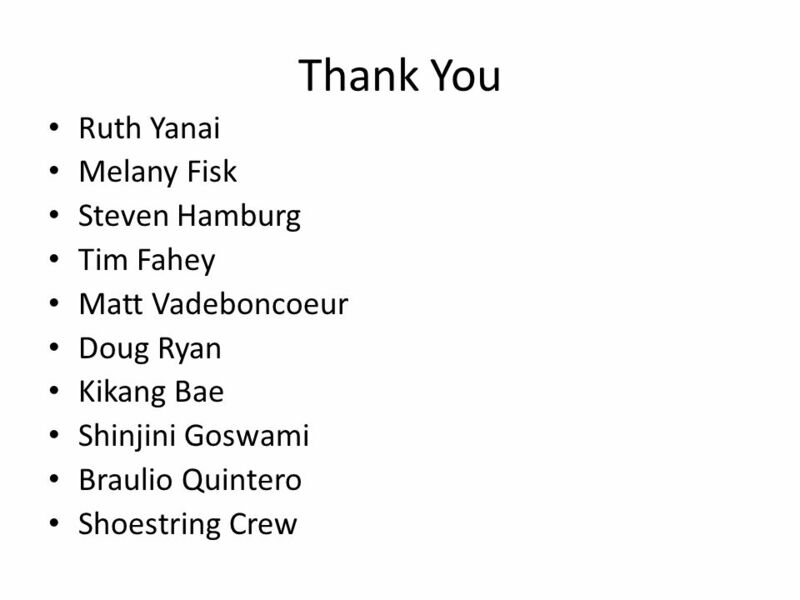 Student SUNY ESF. 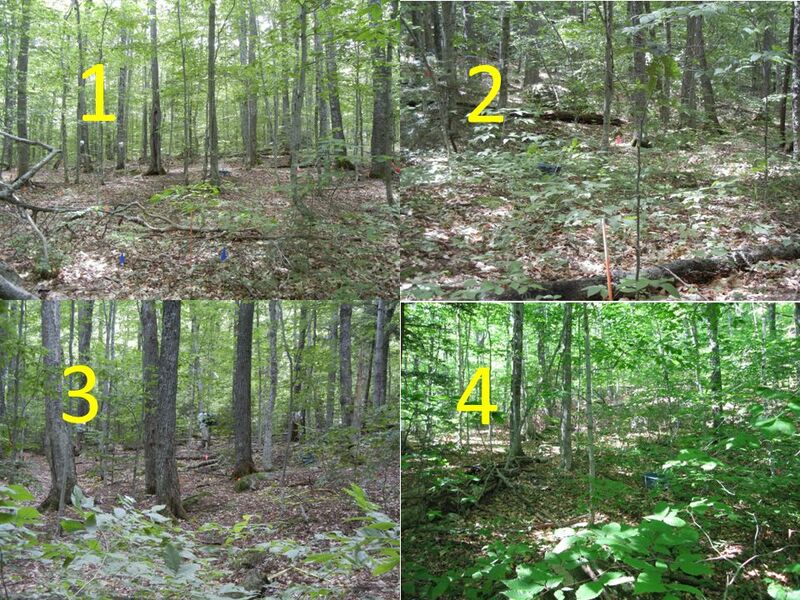 Can leaf mass & foliar nutrient concentration explain species growth rates in northern hardwood stands? Presented by: Shinjini Goswami Graduate Research. By the end of section 2.2 you should be able to understand the following: Earth’s biosphere is like a sealed terrarium, where all nutrients and wastes. 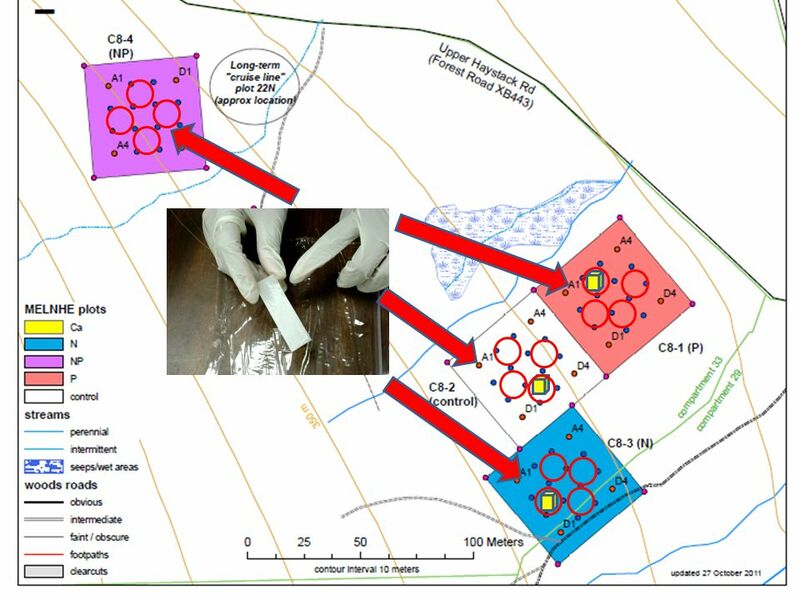 Ecological Perspectives on Critical Loads - Linkages between Biogeochemical Cycles and Ecosystem Change Differences and Similarities in N and S Cycling. 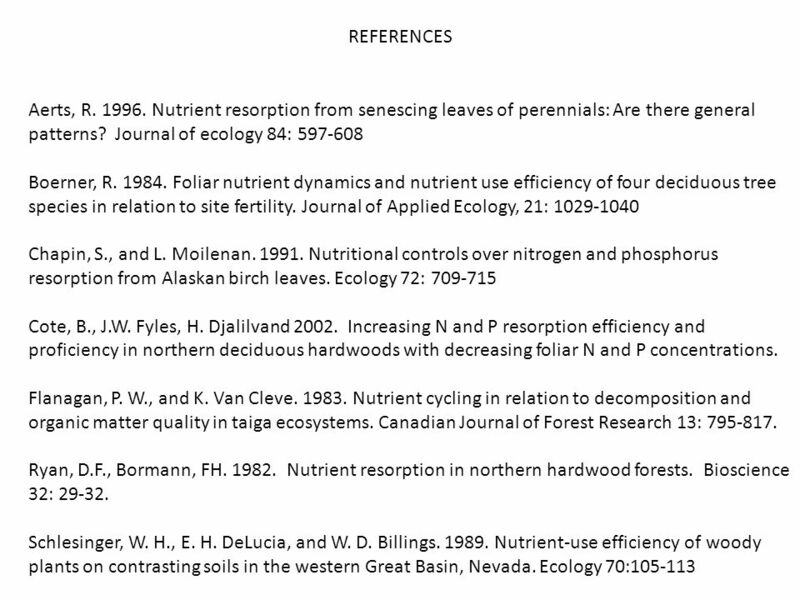 Readings 1.Chapter 13 textbook 2.Van Breeman, N., and Finzi, A Plant-soil interactions: ecological aspects and evolutionary implications. 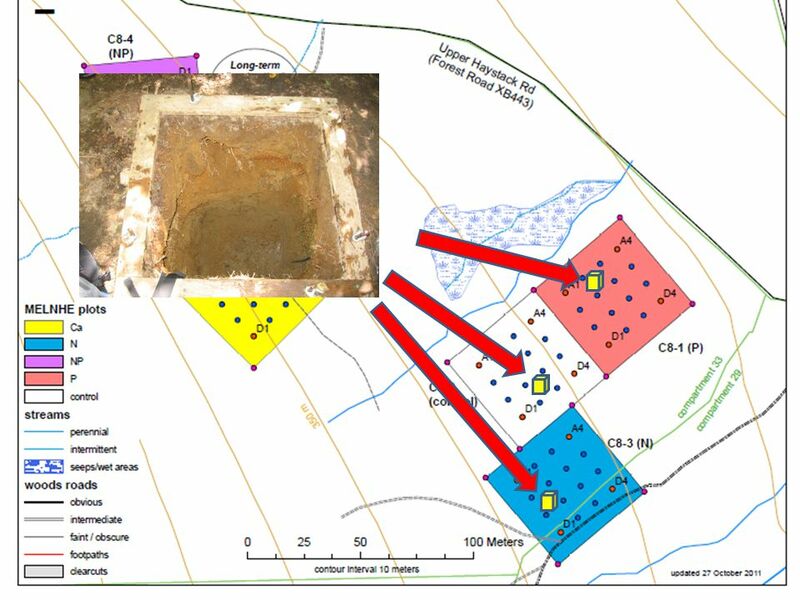 Biogeochemistry. 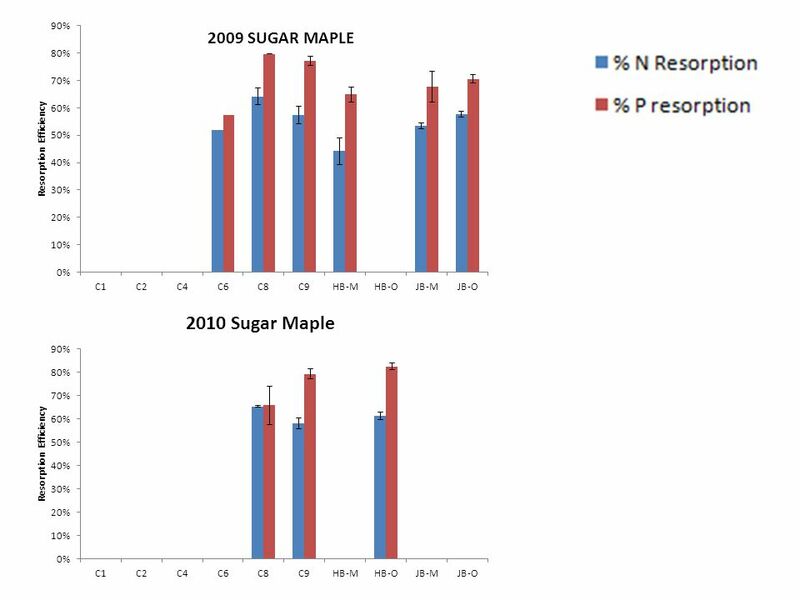 Error estimates for biometric measurements of NEP Mike Ryan and Rudy King USDA Forest Service Motivation: Understand how age, fertility, species change. 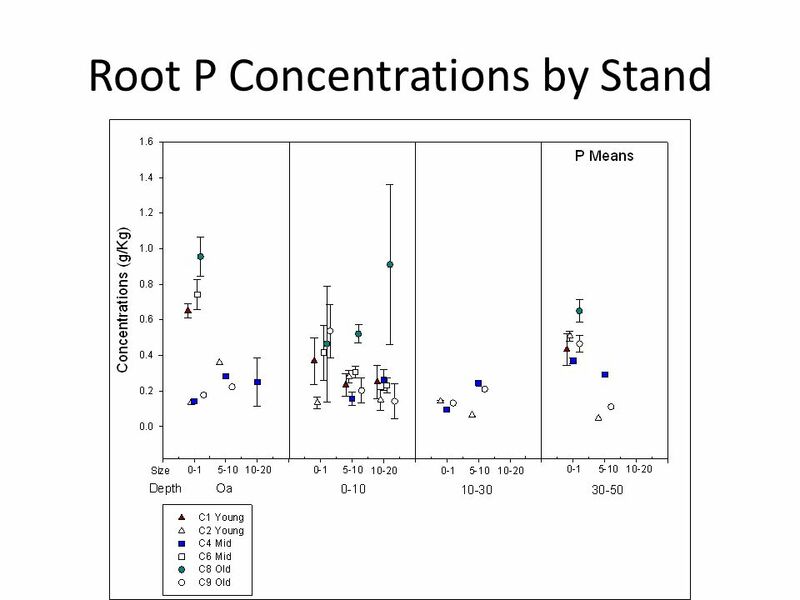 Micronutrient Deficiencies in Wheat Kurt Steinke, Ph.D. 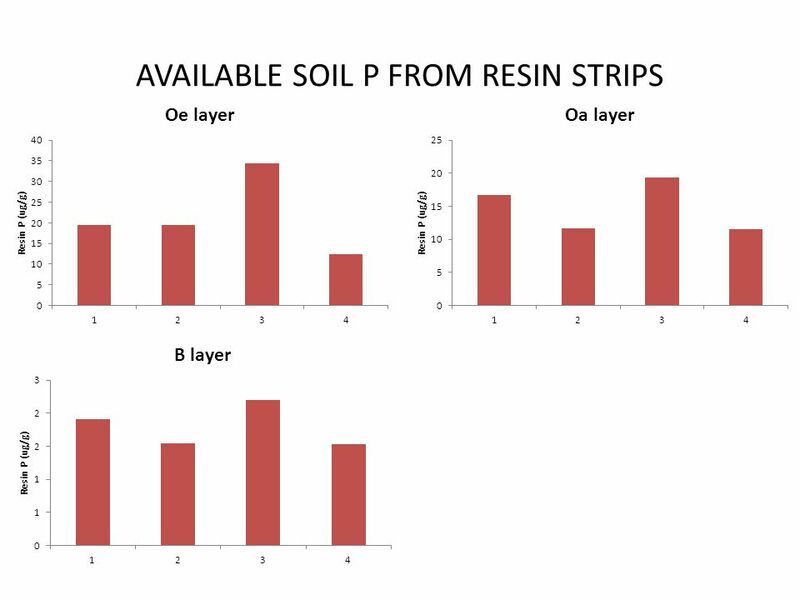 Soil Fertility & Nutrient Mgmt. Dept. of Plant, Soil, and Microbial Sciences Michigan State University. 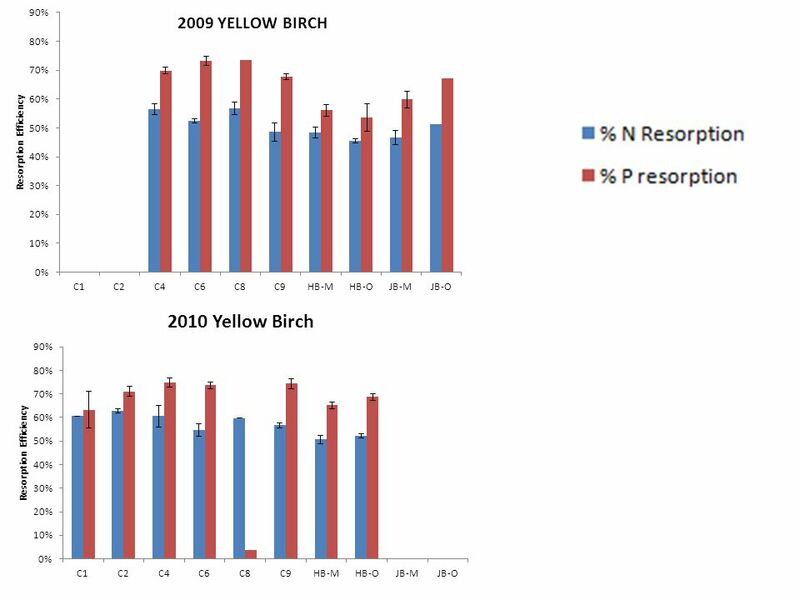 The grass is always greener (than the forest): is it the N? Hannah Tremblay Carleton College, 2014. 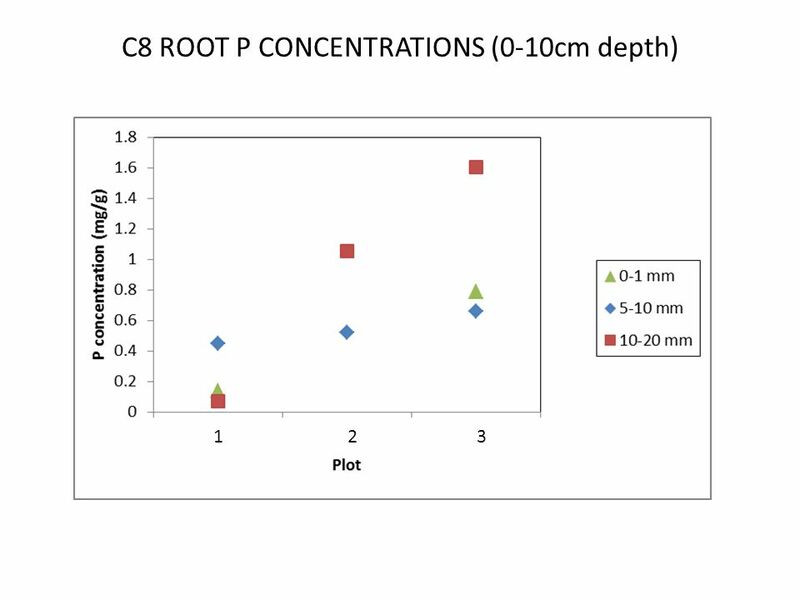 Fertilizer-induced changes in soil nutrient supply, carbon storage and nutrient cycling in immature pine and spruce forests Melanie Jones 2, Shannon Berch. 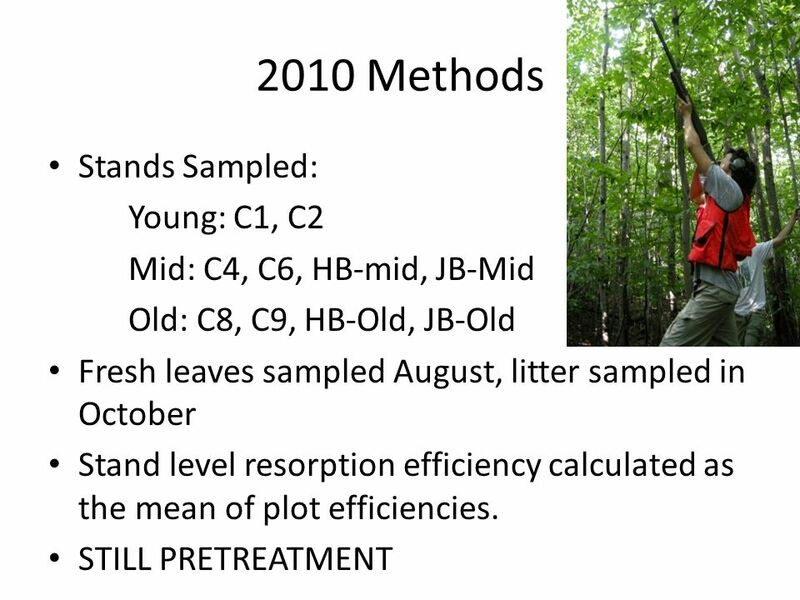 Phosphorus-nitrogen feedbacks maintain balanced availability in hardwood forest soils Tera Ratliff 11-July-2012. 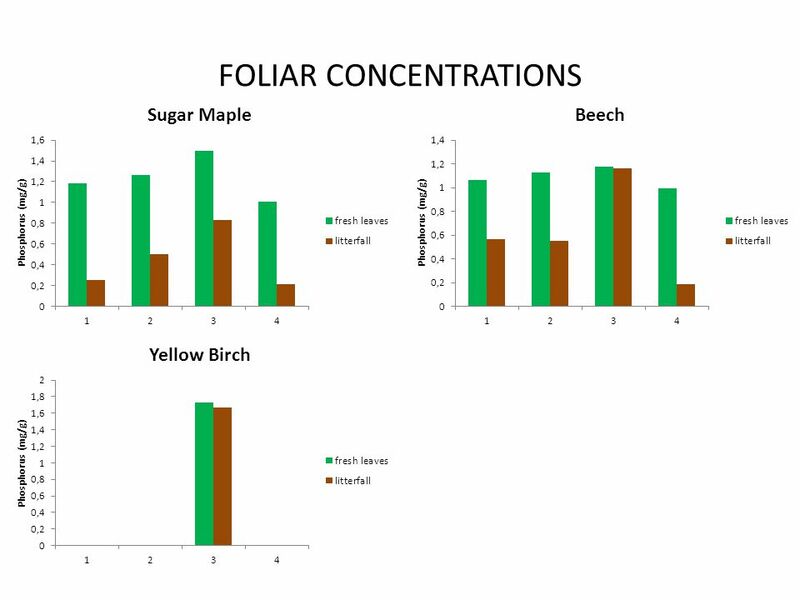 Big Walnut Creek Forest A study of soil and tree species Brett Bohlander Brittany Mohrman Tory Pavlovich.